This compact, sturdy battery powered eraser can be used to erase very small areas on artwork quickly and precisely. It can also be used to create patterns and shapes as well as being a useful drawing tool. Battery operated eraser comes on a blister pack with 8 replacement erasers. It requires 2 x AAA batteries and these are not included. 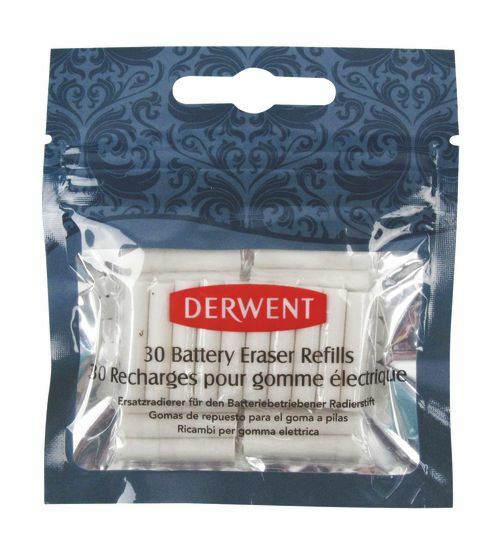 Pack of 30 replacement erasers also available for use with the battery operated eraser.